I found inspiration on another blog for this necklace, so I pulled out my bag of shells. I probably will make other things from the shells this week, because they are so pretty. I got the shells from a vacation a few years ago, but if you don’t have any shells from the beach, you might be able to find some in a lake or creek. They also sell them in craft stores. 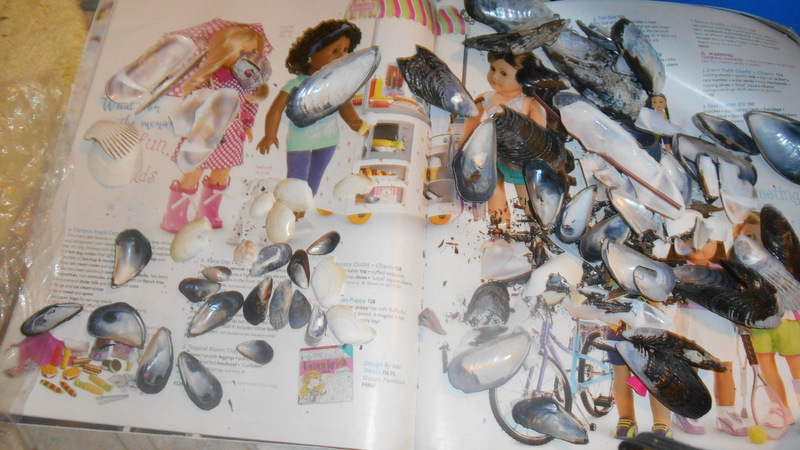 I started by pouring the shells out on a catalog. You don’t have to do this, but it might be helpful. Separate the small shells form the bigger ones. 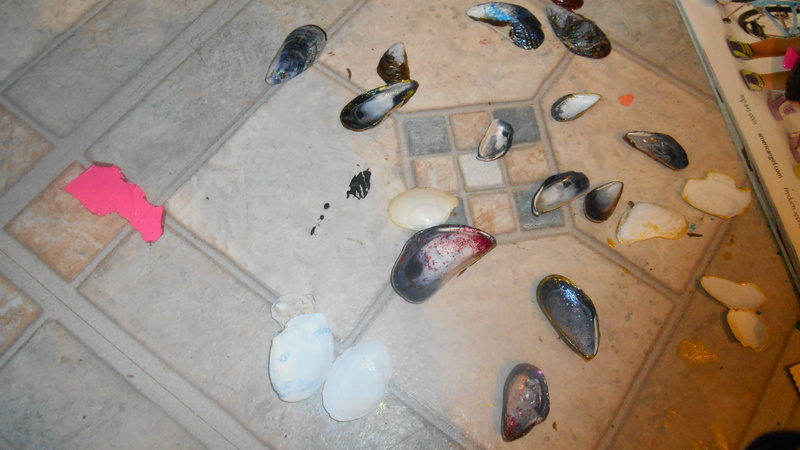 I was going to paint the shells with nail polish, but I couldn’t find any. So instead I used glitter glue, and it helped to make bring out the true colors of the shell also. 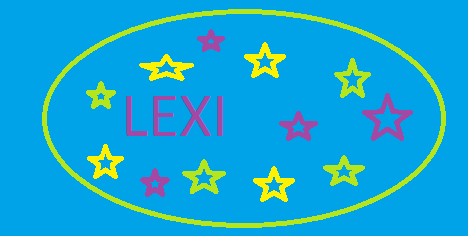 You don’t have to put anything on your shells, but mine were ugly on one side, and it helped to make it look better. 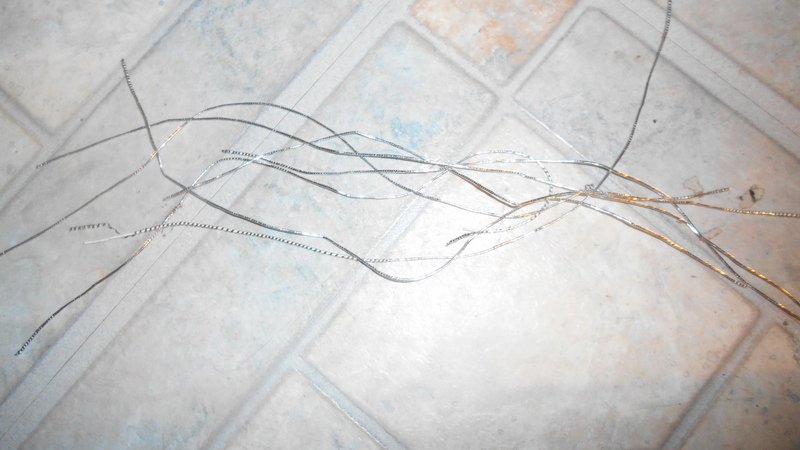 Cut several pieces of elastic. 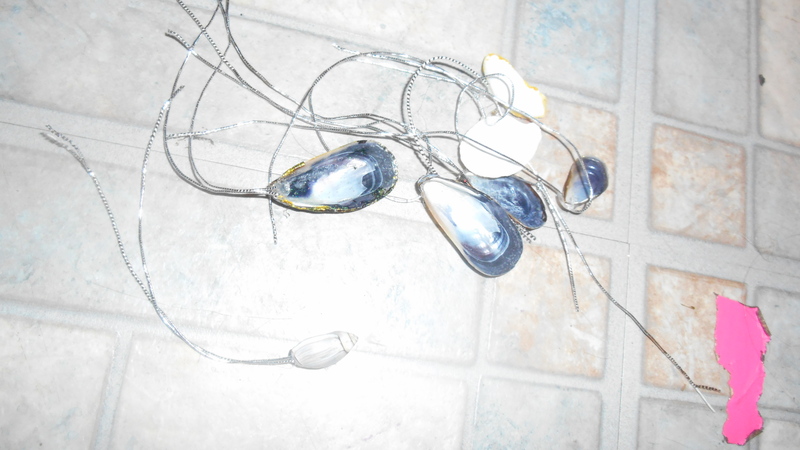 Pick the best shells, to put on the necklaces, and glue them to the elastic. 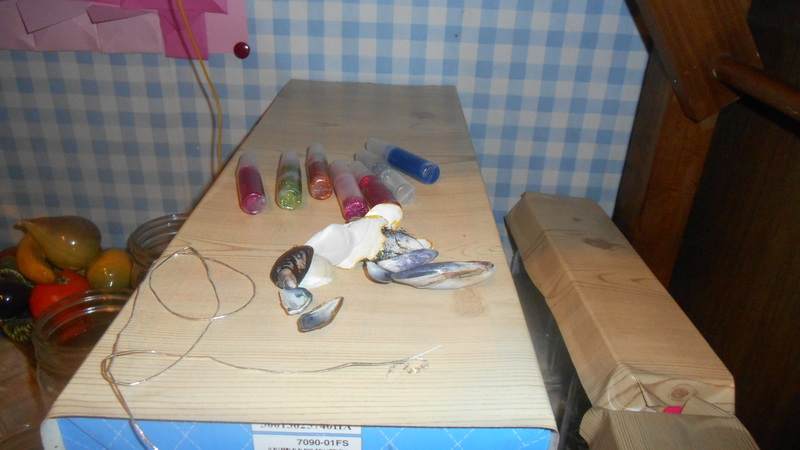 I put the rest of the shells on the craft table, along with some elastic and glitter glue. 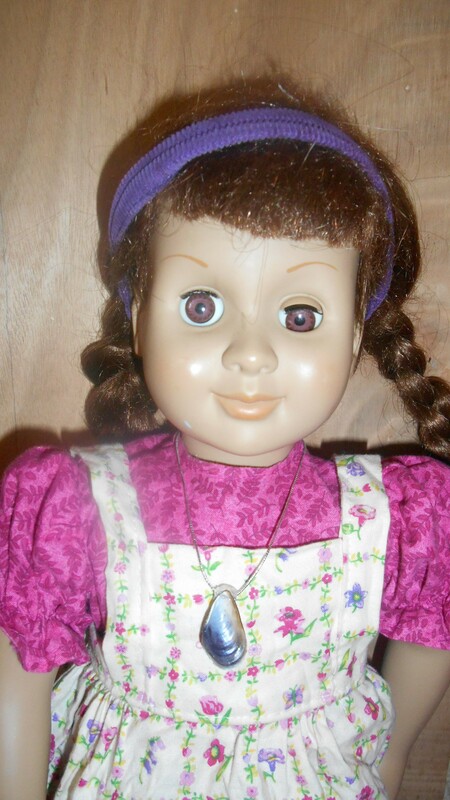 Now my dolls can ‘make’ the necklaces themselves!